The inflatable swimming pool is a portable swimming pool made of PVC mesh fabric for children and family bathing entertainment. The inflatable pool bring a lot of fun to childrent in the summer and relax while family members bathe together. An inflatable pool is better for older children and families than a swimming pool. There are many brands of inflatable swimming pools on the market. The price is more cheaper than a covered swimming pool. The average family can buy it. But the brand on the market and kind are more, so everybody should pay attention when buying! The advantage of an inflatable pool is its portability. An inflatable swimming pool is a temporary foldable portable pool and you can put it anywhere in your home. Even a balcony or bedroom, and the price of a regular swimming pool is quite affordable. Easy to use, especially for external personnel. 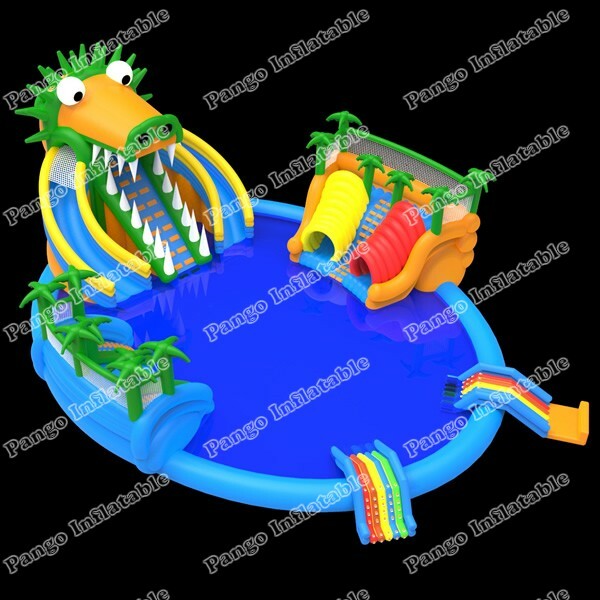 Most inflatable swimming pools are round or rectangular, in addition to being made to look like pirate ships or other animals. Some larger family-size pools can be added with slides or chairs for children to play in. With the improvement of modern living standards, people's requirements are gradually increased. Swimming has become a popular choice of entertainment. Many families will find it convenient to build a family swimming pool, but the family swimming pool has certain limitations. It is suitable for families with larger houses, and those without money cannot afford it. The inflatable swimming pool for family is different and economical.